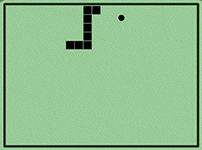 The Classic Old Snake Game. Today, while watching video’s on YouTube (like I do most of the time), I accidentally found one amazing YouTube feature. Most of the people didn’t know about, but you can play classic snake game (founded by Nokia mobile phones) on YouTube by pressing few simple commands. 2 – Press and hold left arrow key for 2 seconds. 3 – And now press down arrow key without letting go of the left key. 4 – Play the game, and have fun! Recommended – How to Add YouTube Subscribe Button in WordPress / Blogger? You can pause the video in middle and play the snake game or when the video’s doesn’t load you don’t have to do anything just follow the steps above and start playing the game. Before the video loads you have seen one circle continue moving on the video, this snake game is made of the same circle. Anyways, most of us have played the game and we know the fun behind the snake game. So, whenever you found yourself bored while watching video’s on YouTube start playing the classic snake game onm YouTube with this simple tweaks.